RDS manages backups, software patching, automatic failure detection, and recovery. You can have automated backups performed when you need them, or manually create your own backup snapshot. You can use these backups to restore a database. Supports Aurora, MySQL, MariaDB, PostgreSQL, Oracle, Microsoft SQL Server. You can get high availability with a primary instance and a synchronous secondary instance that you can fail over to when problems occur. You can also use MySQL, MariaDB, or PostgreSQL Read Replicas to increase read scaling. Basic building block of RDS is the DB instance, which is an isolated database environment in the cloud. You can have up to 40 Amazon RDS DB instances. Each DB instance runs a DB engine. You can select the computation and memory capacity of a DB instance, determined by its DB instance class. If your needs change over time, you can change DB instances. Each DB instance has minimum and maximum storage requirements depending on the storage type and the database engine it supports. You can run your DB instance in several AZs, an option called a Multi-AZ deployment. Amazon automatically provisions and maintains a secondary standby DB instance in a different AZ. Your primary DB instance is synchronously replicated across AZs to the secondary instance to provide data redundancy, failover support, eliminate I/O freezes, and minimize latency spikes during system backups. You’re limited to 10,000 tables if you are either using Provisioned IOPS or General Purpose storage and the DB instance is 200 GiB or larger in size. You’re limited to 1000 tables if you are either using Standard or General Purpose storage and the DB instance is less than 200 GiB in size. Provisioned storage limits restrict the maximum size of a MySQL table file to 16 TB. The Point-In-Time Restore and snapshot restore features of Amazon RDS for MySQL require a crash-recoverable storage engine and are supported for the InnoDB storage engine only. The database name is the name of a database hosted in your DB instance. Databases hosted by the same DB instance must have a unique name within that instance. The point-in-time restore and snapshot restore features of Amazon RDS for MariaDB require a crash-recoverable storage engine. You can improve performance with PostgreSQL on Amazon RDS when loading data into a DB instance and when using the PostgreSQL autovacuum feature. The database name is the unique name of a database hosted in your DB instance, and is not required when creating a DB instance. Up to 10 can be SQL Server DB instances under the “License Included” model. You can have 40 DB instances for SQL Server under the “BYOL” licensing model. If your application caches DNS values, set time to live (TTL) to less than 30 seconds. AWS recommends to NOT enable Simple Recover, Offline, or Read-only modes because they turn off transaction logging, which is required for Multi-AZ. Test to determine how long it takes for your DB instance to failover. Deploy your applications in all Availability Zones. Database name is not a supported parameter. Up to 10 can be Oracle instances under the “License Included” model. You can have 40 DB instances for Oracle under the “BYOL” licensing model. Database name is used to set the value of ORACLE_SID, which must be supplied when connecting to the Oracle RDS instance. 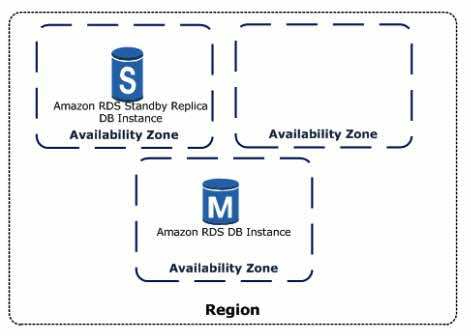 Amazon RDS for MySQL, MariaDB, PostgreSQL, Oracle, and Microsoft SQL Server use Amazon EBS volumes for database and log storage. For production OLTP use cases, use Multi-AZ deployments for enhanced fault tolerance with Provisioned IOPS storage for fast and predictable performance. You can use PIOPS storage with Read Replicas for MySQL, MariaDB or PostgreSQL. Doesn’t allow you to scale storage when using the SQL Server database engine. Instance Lifecycle – includes creating, modifying, maintaining and upgrading, performing backups and restores, rebooting, and deleting the instance. You can’t stop an Amazon RDS for SQL Server DB instance in a Multi-AZ configuration. You can stop a DB instance for up to seven days. If you do not manually start your DB instance after seven days, your DB instance is automatically started. You can’t stop a DB instance that has a Read Replica, or that is a Read Replica. You can’t modify a stopped DB instance. To delete a DB instance, you must specify the name of the instance and whether to take a final DB snapshot of the instance. You can enable deletion protection so that users can’t delete a database. Deletion protection is disabled by default. DB Security Groups – controls access to a DB instance that is not in a VPC. By default, network access is turned off to a DB instance. This SG is for the EC2-Classic platform. VPC Security Groups – controls access to a DB instance inside a VPC. This SG is for the EC2-VPC platform. EC2 Security Groups – controls access to an EC2 instance and can be used with a DB instance. Assign an individual IAM account to each person who manages RDS resources. Do not use AWS root credentials to manage RDS resources. 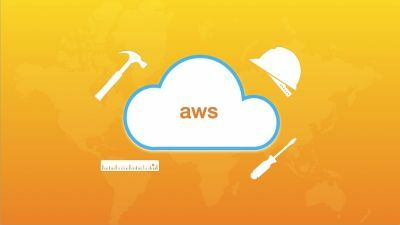 Use security groups to control what IP addresses or Amazon EC2 instances can connect to your databases on a DB instance. Run your DB instance in an Amazon Virtual Private Cloud (VPC) for the greatest possible network access control. Use Secure Socket Layer (SSL) connections with DB instances running the MySQL, MariaDB, PostgreSQL, Oracle, or Microsoft SQL Server database engines. Use RDS encryption to secure your RDS instances and snapshots at rest. Use the security features of your DB engine to control who can log in to the databases on a DB instance. A resource owner is the AWS account that created a resource. That is, the resource owner is the AWS account of the principal entity (the root account, an IAM user, or an IAM role) that authenticates the request that creates the resource. A permissions policy describes who has access to what. Policies attached to an IAM identity are identity-based policies (IAM policies) and policies attached to a resource are resource-based policies. Amazon RDS supports only identity-based policies (IAM policies). MySQL and PostgreSQL both support IAM database authentication. Manage keys used for encrypted DB instances using the AWS KMS. KMS encryption keys are specific to the region that they are created in. RDS encryption is currently available for all database engines and storage types. RDS encryption is available for most DB instance classes. You can’t have an encrypted Read Replica of an unencrypted DB instance or an unencrypted Read Replica of an encrypted DB instance. You can’t restore an unencrypted backup or snapshot to an encrypted DB instance. You can use SSL from your application to encrypt a connection to a DB instance running MySQL, MariaDB, SQL Server, Oracle, or PostgreSQL. Your VPC must have at least two subnets. These subnets must be in two different Availability Zones in the region where you want to deploy your DB instance. If you want your DB instance in the VPC to be publicly accessible, you must enable the VPC attributes DNS hostnames and DNS resolution. Your VPC must have a DB subnet group that you create. Your VPC must have a VPC security group that allows access to the DB instance. The CIDR blocks in each of your subnets must be large enough to accommodate spare IP addresses for Amazon RDS to use during maintenance activities, including failover and compute scaling. When an option group is assigned to a DB instance, it is linked to the supported platform the DB instance is on, either VPC or EC2-Classic. If you restore a DB instance into a different VPC or onto a different platform, you must either assign the default option group to the DB instance, assign an option group that is linked to that VPC or platform, or create a new option group and assign it to the DB instance. An RDS tag is a name-value pair that you define and associate with an RDS resource. The name is referred to as the key. Supplying a value for the key is optional. All Amazon RDS resources can be tagged. Use tags to organize your AWS bill to reflect your own cost structure. A tag set can contain as many as 10 tags, or it can be empty. Multi-AZ deployments for Oracle, PostgreSQL, MySQL, and MariaDB DB instances use Amazon’s failover technology. SQL Server DB instances use SQL Server Mirroring. You can modify a DB instance in a Single-AZ deployment to a Multi-AZ deployment. You can reduce the load on your source DB instance by routing read queries from your applications to the Read Replica. You can elastically scale out beyond the capacity constraints of a single DB instance for read-heavy database workloads. You can create a Read Replica that has a different storage type from the source DB instance. A source DB instance can have cross-region Read Replicas in multiple regions. Due to the limit on the number of access control list (ACL) entries for a VPC, cannot have more than five cross-region Read Replica instances. PostgreSQL does physical replication. MySQL and MariaDB do logical replication. You can create a manual snapshot of a PostgreSQL Read Replica, but you can’t enable automatic backups. You can enable automatic backups on a MySQL or MariaDB Read Replica. When creating a Read Replica, there are a few things to consider. Enable automatic backups on the source DB instance by setting the backup retention period to a value other than 0. Automatic backups are supported only for Read Replicas running MySQL 5.6 and later. You can promote a Read Replica to become a standalone DB instance. Your DB instance must be in the ACTIVE state for automated backups to occur. Automated backups and automated snapshots don’t occur while a copy is executing in the same region for the same DB instance. The first snapshot of a DB instance contains the data for the full DB instance. Subsequent snapshots of the same DB instance are incremental. The default backup retention period is one day if you create the DB instance using the RDS API or the AWS CLI, or seven days if you used the AWS Console. Manual snapshot limits are limited to 100 per region. You can copy a snapshot within the same AWS Region, you can copy a snapshot across AWS Regions, and you can copy a snapshot across AWS accounts. When you restore a DB instance to a point in time, the default DB parameter and default DB security group is applied to the new DB instance. When you restore an Oracle DB instance to a point in time, you can specify a different Oracle DB engine, license model, and DBName to be used. When you restore a SQL Server DB instance to a point in time, each database within that instance is restored to a point in time within 1 second of each other database within the instance. An Amazon RDS event is created when the reboot is completed. Be notified when changes occur with a DB instance, DB snapshot, DB parameter group, or DB security group. Uses the Amazon Simple Notification Service (SNS) to provide notification when an Amazon RDS event occurs. Enhanced monitoring is available for all DB instance classes except for db.m1.small. Enhanced Monitoring is available in all regions except for AWS GovCloud (US). IOPS – the number of I/O operations completed each second. Latency – the elapsed time between the submission of an I/O request and its completion. Throughput – the number of bytes each second that are transferred to or from disk. Queue Depth – the number of I/O requests in the queue waiting to be serviced. CloudWatch gathers metrics about CPU utilization from the hypervisor for a DB instance, and Enhanced Monitoring gathers its metrics from an agent on the instance. The instance is healthy and available. The instance is currently being backed up. The instance is being created. The instance is inaccessible while it is being created. The instance is being deleted. The instance has failed and Amazon RDS can’t recover it. Perform a point-in-time restore to the latest restorable time of the instance to recover the data. The instance is being rebooted because of a customer request or an Amazon RDS process that requires the rebooting of the instance. The instance has reached its storage capacity allocation. This is a critical status, and we recommend that you fix this issue immediately. To do so, scale up your storage by modifying the DB instance. To avoid this situation, set Amazon CloudWatch alarms to warn you when storage space is getting low. RDS Performance Insights monitors your DB instance load so that you can analyze and troubleshoot your database performance. You can visualize the database load and filter the load by waits, SQL statements, hosts, or users. CloudTrail captures all API calls for RDS as events. With Amazon RDS, you pay only for the RDS instances that are active. The data transferred for cross-region replication incurs RDS data transfer charges. Instances are billed for DB instance hours (per hour), Storage (per GiB per month), I/O requests (per 1 million requests per month), Provisioned IOPS (per IOPS per month), Backup storage (per GiB per month), and Data transfer (per GB). Monitor your memory, CPU, and storage usage. Scale up your DB instance when you are approaching storage capacity limits. Enable automatic backups and set the backup window to occur during the daily low in write IOPS. Convert from standard storage to either General Purpose or Provisioned IOPS storage, depending on how much of an increase you need. If you convert to Provisioned IOPS storage, make sure you also use a DB instance class that is optimized for Provisioned IOPS.. If you are already using Provisioned IOPS storage, provision additional throughput capacity. If your client application is caching the Domain Name Service (DNS) data of your DB instances, set a time-to-live (TTL) value of less than 30 seconds. Test failover for your DB instance. The following table lists the resources and their limits per region. For MySQL DB and MariaDB DB instances, the maximum provisioned storage limit constrains the size of a table to a maximum size of 16 TB when using InnoDB file-per-table tablespaces.